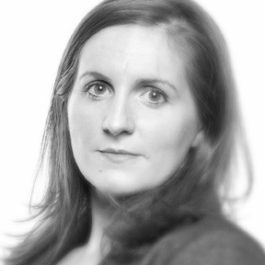 Laura joined Lincoln House as a tenant in September 2007 after the successful completion of her pupillage under the supervision of Suzanne Goddard Q.C (crime) and Abigail Holt (civil). Following in the footsteps of some of Lincoln House’s most respected advocates, Laura maintains a diverse practice, specialising in criminal law, industrial disease claims and general personal injury. Her firm grounding in criminal law, acting for both defendants and prosecuting authorities in the Crown Court, has equipped her well with the skills to conduct contested civil claims. Laura has a varied criminal practice and currently is instructed to represent defendants charged with such serious offences as: grave child cruelty (a three month old baby with several fractures to his limbs), sexual assault on a child, possession of heroin with intent to supply, and s.18 (“GBH with intent”) assault with a weapon. She is also currently instructed for the Crown in a number of serious cases including Operation Tanglewood: the prosecution of four defendants charged with importation of cocaine valued at over £1m. She is instructed as Junior for the Crown in the consolidated trial of Operations Blythe and Minister: respectively an alleged conspiracy to supply class A drugs with a potential yield of £5,000,000 and a police misconduct case in which a police officer sold sensitive police intelligence to a defendant charged in the drugs conspiracy. Alongside her criminal practice, Laura has a particular expertise in industrial disease work, having been selected by Ivan Bowley to join Lincoln House Chambers’ industrial disease team. She has extensive experience in the ‘British Coal Litigation’, however, she has a keen interest in all cases of industrial disease. Additionally, Laura has a busy general personal injury practice, acting for both claimants and defendants across the broad spectrum of negligence claims. Laura has a strong track record appearing before the Criminal Injuries Compensation Board. Laura’s personal experience in dealing with individuals suffering from mental illness and disability means that she is well placed to deal with clients who may appear to be “difficult”. She has specific experience appearing before the Mental Health Review Tribunal. Laura is licensed to provide legal advice and representation directly to members of the public.